Guess what folks? We all woke up this week (by God’s grace) and we were still black. I know. Shocking. That means that folks were still making fools of themselves in race dialogue via social media, radio waves, and television. From TMZ polls asking whether black people should be called “African American” or “Ni**a” to reality stars on “Duck Dynasty” claiming that blacks were happy during Jim Crow, there have been an ample number of “facepalm” moments this week. This is your Black Folks convo with Jenn M. Jackson. Now, I am completely unsure what possessed the editors at TMZ to post an asinine poll like the one they did earlier this week. The question was simple: “Refer to black people as: African American or Ni**a?” Why? Well, because Suge Knight – yes, THAT Suge Knight – said that he doesn’t appreciate being referred to as African American. He argued that if some people use the n-word then everyone should be able to use the n-word freely. First of all, TMZ, get your life. Let’s not pretend like this is a “poll.” Since a bunch of white people frequent your gossip site, this was just their opportunity to call black folks names with a button. A poll uses random sampling and other methods to ensure there is no bias in the population. I have a strong feeling these folks are biased since a) the n-word won the poll and b) they ALL patronize TMZ. Second, I have no idea when Suge Knight became the official Black People Naming Ambassador to the world. At no point has the invisible Black People Collective held any nominations for that dubious position. And, I highly doubt that he would win said election if it ever took place. White people: please don’t let this man get you punched in the mouth for calling a black person an n-word. Word to the wise. 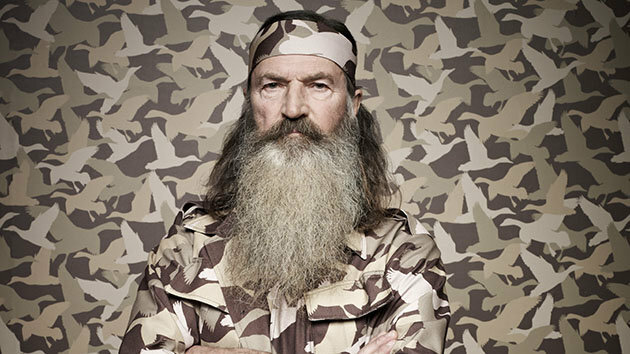 In the January 2014 edition of GQ, Phil Robertson, the apparent patriarch on A&E’s hit reality show “Duck Dynasty” (a show I have never watched and don’t plan to), said some pretty outlandish things about the LGBTQ community. Now, they aren’t things I wouldn’t stereotype a backwoods, duck hunting, self-proclaimed redneck with saying. But, since we know stereotypes are a bad thing – and usually wrong – his words come off as shockingly judgmental and incredibly out of touch. What isn’t getting as much press are his words about black people. He apparently believes that blacks were pretty happy in the Jim Crow south. Why? Well, because he never heard a peep out of their happy mouths. Rightly, A&E then put Robertson on an indefinite suspension. Though all of these words induce gaped mouthed shock for most people, conservatives like Sarah Palin and Louisiana Governor Bobby Jindal came out to defend Robertson’s first amendment right to freedom of speech. Sadly, these two political actors (and Republicans) didn’t get the email or tweet about how the US Constitution is a contract between the government and the people. However, it does not govern “morality clauses” between private companies and their employees. If A&E has an issue with Robertson, A&E can – and did – handle said issue as they see fit. Conservatives had an opportunity to win some allies in the LGBTQ and black communities but they couldn’t get their heads out of their anuses far enough to see that defending the homophobic, anti-marriage equality, black people hardship denier was probably a bad move. Why the Hell Are We Discussing Santa’s Hue? Oh, I remember why. Because Fox News reporter, Megyn Kelly, thinks that Santa (and Jesus, like…Christ) was white. Truth is, this entire conversation is dumb. Santa can be whatever color anyone who dresses as him is. It won’t make a difference. It won’t make any real white people any less white. And, it won’t ruin White Christmas. Let’s just stop talking about it and enjoy our holiday next week. And for all the kid’s watching at home: stop watching Megyn Kelly. She’ll make you stupid. It has been a fun week in black people stuff. I sure enjoyed it. I can’t wait to see what they cook up next week.